And yes, by all means a babywearing daddy too. So, what is all the talk about babywearing? You might have spotted some of them in the malls, at the zoo or out in the parks. First thing that might cross your mind is that, how is it possible to wear that in a country like Malaysia? Before purchasing a baby wrap in Malaysia, you would need to consider the material. Look for one that is made from natural bamboo cotton material which is cooler and suits the hot and humid climate of Malaysia. 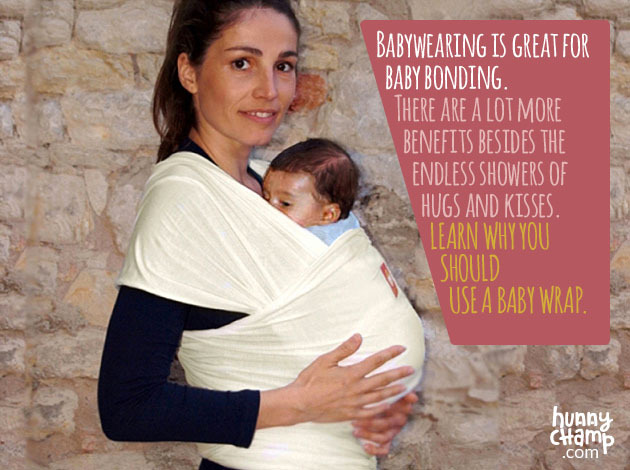 Parents who practise babywearing has found that babies cry lesser and are healthier. Studies have also shown that babies that are held more, cry less. One study found that leaving babies to cry for long periods of time alters their nervous system by flooding the developing brain with stress hormones and adrenalin. Wearing your baby in a wrap or sling, a baby will feel reassured by the presence of their mother’s body rhythms. The familiarity of her heartbeat, body temperature, body smell and breathing patterns will create a smooth transition from womb to world. A randomised controlled test reported in Pediatrics showed that carrying babies reduces crying and fussiness 43% during the day and 51% at night. By carrying your little one, it promotes cognitive development and speech development, since babies are exposed to more experiences and conversations when being held close to their mother or father. Physical development, touching your baby stimulates growth hormone production. Vestibular system, the parts of the inner ear that control the body’s sense of balance. Increases a baby’s circulation and promotes respiration. 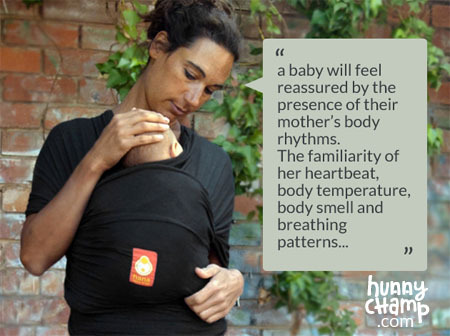 Babywearing promotes deeper, longer and more peaceful sleep cycles, vital for brain maturation. Babywearing helps digestion and eases colic, as wearing your baby in a wrap sling offers an upright position which promotes digestion. A baby’s tummy is massaged through the act of babywearing which also promotes bowel movement. The acupressure points that aid digestion and sleep, are located on the belly and on the lower insides of the thighs. These points are automatically massaged through babywearing. Well, as you can see, it helps the baby’s growth and development in multiple ways. What about the wearer? Let’s see what’s in store for babywearing mum and dad’s. A well designed baby wrap provides balanced back support and helps in the prevention of strain or injury to the your back or shoulders. Babywearing offers you truly hands-free freedom, allowing you to enjoy an active lifestyle indoors or outdoors. 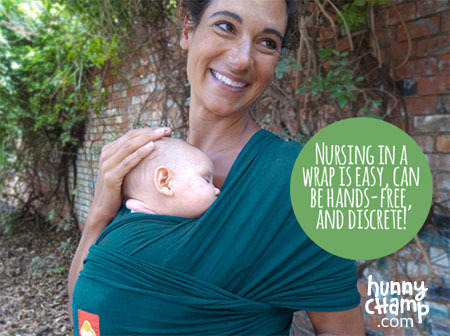 Nursing in a wrap is easy, can be hands-free, and discrete! Extremely great for baby bonding. Wearing your baby in front has him/her right where the endless showers of hugs and kisses will be! It is a beautiful piece of accessory that would be the envy of others. So are you ready to be a proud babywearer? Get a baby wrap now. This entry was posted in Lifestyle, Safety and Health, Style and tagged baby wrap, babywear.